In April of 2018, a wind energy company from Oklahoma began contacting landowners in Brown and Coleman Counties. 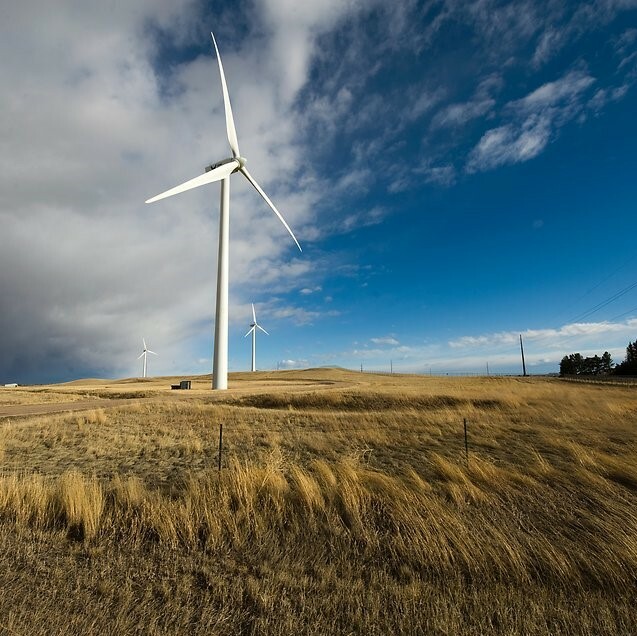 Their interest was to gain options to lease land for the purpose of developing approximately a 200 Mega Watt wind installation, consisting of approximately 60 to 80 turbines, in southern Brown and Coleman Counties. The energy company has stated publicly that a project of this size will require 25,000 to 35,000 contiguous acres. However, they do not intend to develop this project themselves but rather take the portfolio of leases and sell them as a package to a third party who would then either sell them yet again or actually build the development. As of early April 15, 2019, the wind company has signed options of record totaling 12,746 combined Brown and Coleman acres, of which 2,976 are contiguous from the Brown County substation area. 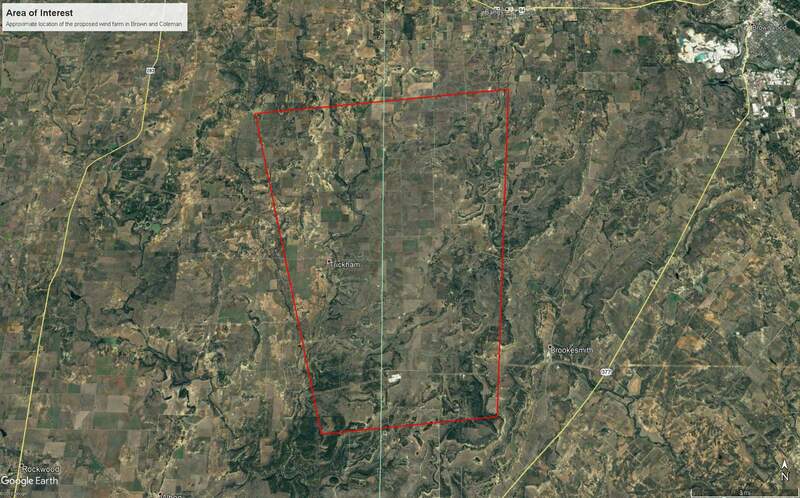 The remaining leased acreage is scattered across southern Brown and Coleman Counties. 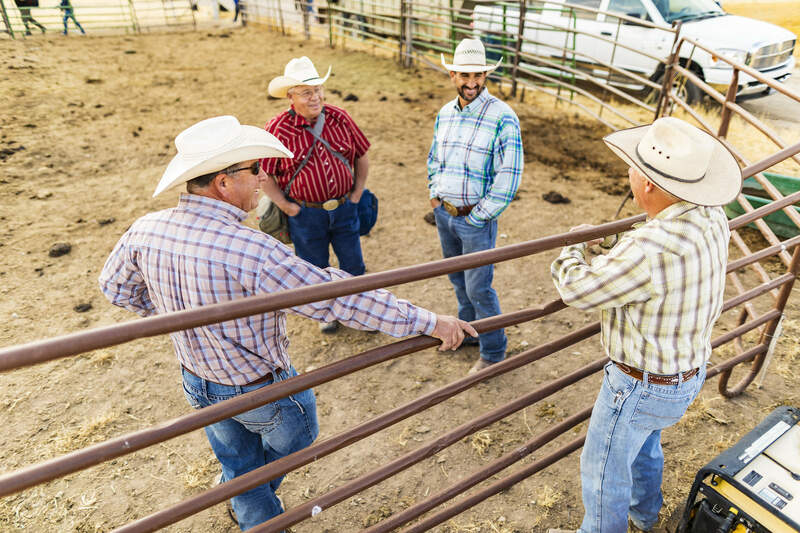 In contrast, landowners who have stated they are opposed to this project total 111,956 acres, most of which is contiguous, in southern Brown and Coleman Counties. This project is proposed to be constructed in the southwestern portions of Brown county and the southeastern portions of Coleman county. It will encompass large portions of Brookesmith, Bangs and Santa Anna School districts. Click on the map to the right to enlarge. We are residents, landowners, business owners and officials who have sought out independent information on wind energy and the potential impact on our community. We have come together with the firm belief that the proposed wind project for Brown and Coleman counties will negatively impact property values, property taxes, marketability of our area, economic growth, jobs, and our way of life. We are not activists; we are the people who live here, work here or escape the cities for the peace and beauty of our great counties. Our funding comes from donations of our generous neighbors who are strongly opposed to this project. The wind energy companies have a sales pitch. We intend to ensure landowners hear the facts that the wind industry does not want them to hear. Wind energy is not good for our counties, our state, or our communities. 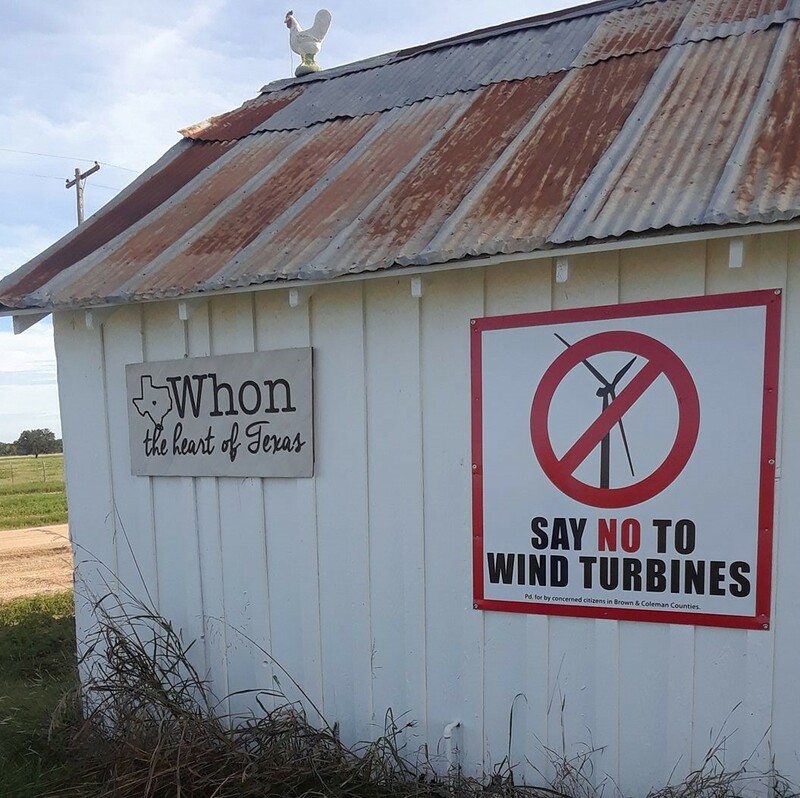 The wind companies do not want landowners talking; however, we want to make sure landowners are communicating about this issue and getting the facts and information that they need. 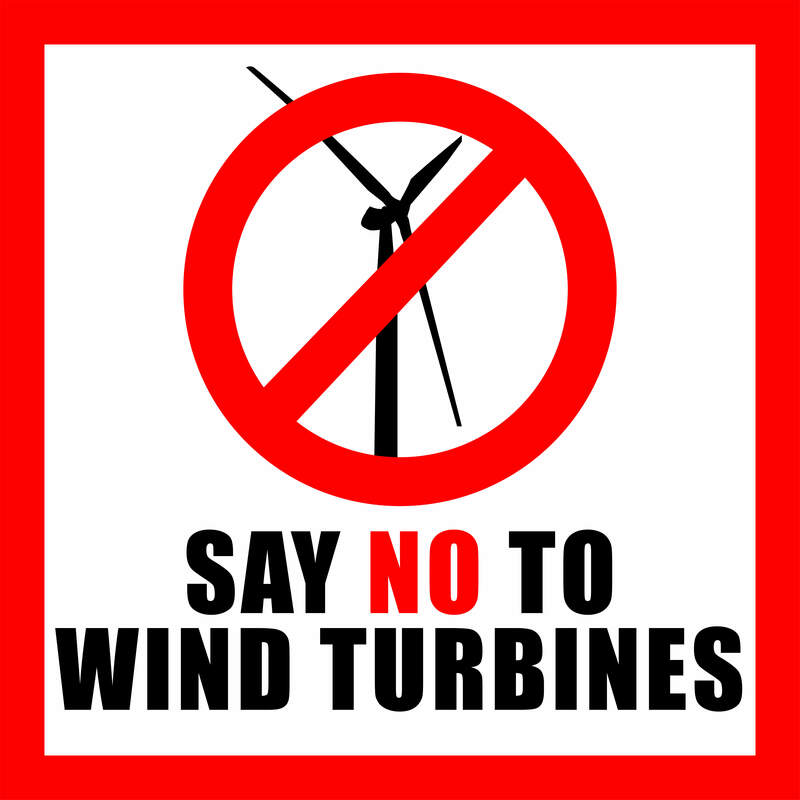 They should know that their neighbors are also opposed to this wind project. Wind companies often try to use this lack of discussion between neighbors to their advantage. Wind companies like to do things quietly. We want to bring as much exposure to this project as possible. We will hold public meetings, send letters, do interviews, and build websites to put a spotlight on this issue. Click here to find the facts about wind that the wind industry does not want you to know. The Proposed wind project will affect every landowner and resident in Brown and Coleman Counties. Click here to learn how you can help prevent this from happening. We spent hundreds of hours researching the impact of wind turbines on our community. Click here to find links to many of those sources.